Picking the best brands for all kinds of products has always been a tough choice. Many manufacturers are now prominent in many different sectors, and this has further muddied the waters for consumers. If you made an air conditioning brands list, there would certainly be names that you would recognise and others that you probably wouldn’t. So, how do you choose the right air conditioner brand to suit your needs? Here are three top tips for choosing your next air conditioner brand. It seems obvious, but many people don’t judge a brand on its air conditioning technology. A simple search online will reveal the brands that are investing in improving air conditioning technology. If a company is making significant advances, they will rarely be shy about it, and there will be lots of information available. This is important, an air conditioning system with well designed technology will usually work better, last longer and be more efficient than models with poorer designs. If you identify a brand that has many electronic appliances it doesn’t necessarily follow that the company is an expert in cooling and heating. Being the market leader and providing the best products in multiple sectors is simply not possible. Even larger companies have to focus their attention on a smaller number of market sectors to even compete with competent products. This may be obvious in some cases as the prices of the air conditioner systems available from a brand could be lower than other brands you have looked at. Instead, look at companies that having been making air conditioning systems and associated equipment for a long time. Brands like this will be more readily available, have more service centres and be more reliable. Many brands, sell the cheapest air conditioning equipment to drive sales to the consumer. This could be seen as an altruistic move to the casual observer, but no company willingly loses money. Cheaper air conditioners are less energy efficient, more likely to fail and have a shorter lifespan on average. It may seem like a good deal to buy a cheaper system, but you must also consider the cost of higher energy bills, repairs and an earlier replacement into your calculations. If they are looking for high quality air conditioning brands, Australia based residents should contact us. 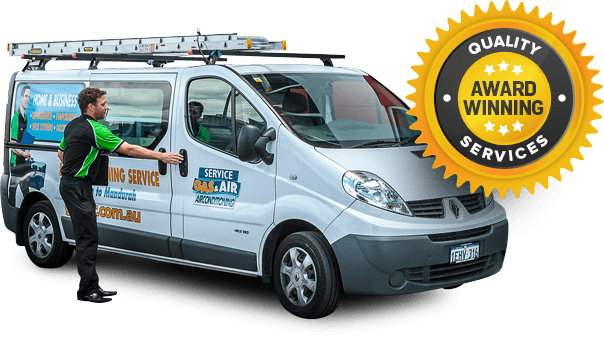 Here at Gas & Air we supply, install and service a wide variety of high quality air conditioning systems. Our HVAC specialists are professionally trained to ensure that you get the highest standards of service at an affordable price. The Gas & Air team is standing by to answer any remaining questions you may have.